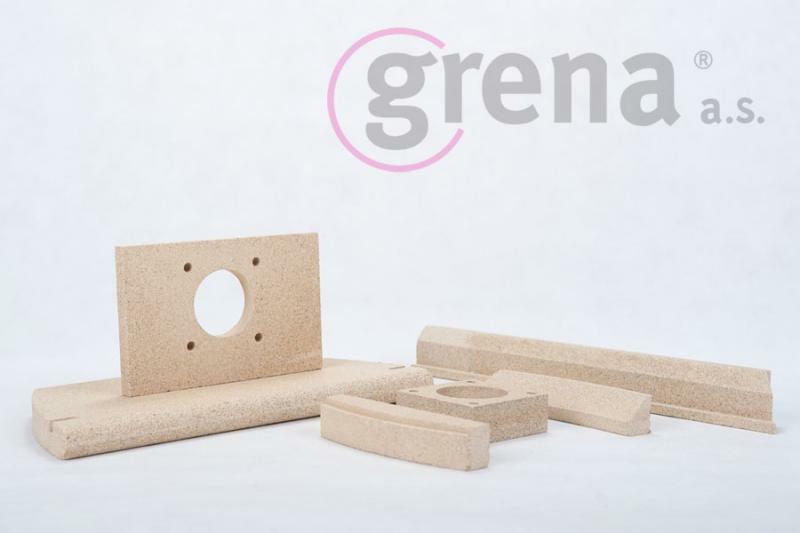 I would like to inform you about the news from Grena - the producer of refractory, fire-resistant and insulation boards from vermiculite. 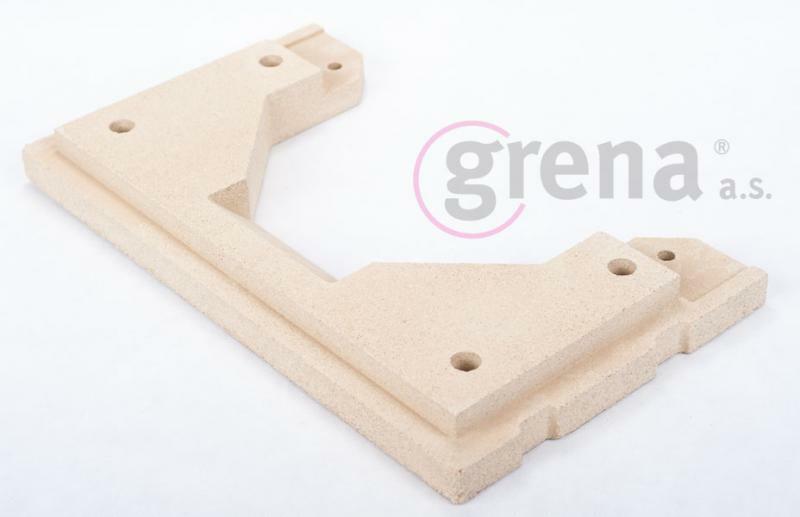 For several years the Grena company has been producing and supplying products, especially board-type, for insulating fireplace mantels of fireplace inserts and high-temperature boards and shaped panels for the area of the hearth in fireplaces and ovens. 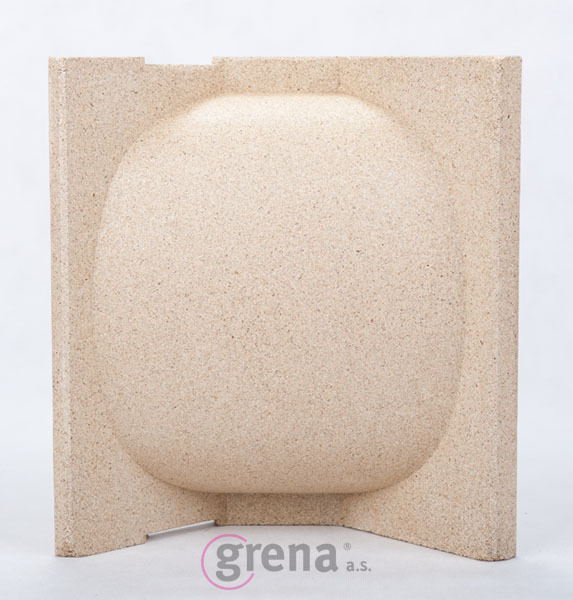 During these years we have gained a lot of experience with production as well as with use of these materials in various branches and with different customers. Based on the communication with our customers and their testimonies we are still trying to improve the quality of our products and widen our assortment. Thus, last year we invested 23 million CZK in new machinery which will improve the quality of the manufactured products, will facilitate production of boards or shaped panels in a smaller or bigger volumetric mass density and last but not least it will increase the capacity of production. Thereby it will shorten terms of deliveries and enable wider variability and flexibility of production. The main investment was into sorting equipment. This equipment has been in operation since 1st Jan, 2015 and has significantly improved the quality of input material in the production which fundamentally influences the final quality of the products as well. The products are firmer and very homogenous. They also facilitate production of very light boards with the volumetric mass density approx. 360 kg/m3 and heavier boards with the volumentric mass density 900 kg/m3. Nowadays, the products are being tested and the expected introduction to the market will be within two months. Another considerable investment was the installation of two new furnaces which will increase capacity. We believe that the quality of our products, their wholesomeness and our attitude will convince you. We will be happy to recieve all your ideas and questions.